An Android TV Box can give you the best smart TV experience. It uses Android as operating system which means you can install any app from Google Play app store. In this article you can find a list of the 9 best apps for Android TV Box, feel free to share more ideas. Kodi is the must-have app! It’s for sure the best app for Android TV Box and it normally comes pre-installed. Kodi (or XBMC) is a free and open-source media player software application. Kodi allows you to stream any kind of media, such videos (including movies, tv series, documentaries, TV Channels, sports streams, videos from internet, etc), music (music libraries, radio, etc) and podcasts. To enjoy the most of kodi you will need to install some cool Kodi free addons. There are video addons to watch movies, tv series, documentaries; addons to watch TV Channels from all over the world, addons to play music; you can find addons to stream any kind of media!! You can even upload an IPTV list with your favourite TV Channels and stream them from Kodi (XBMC). 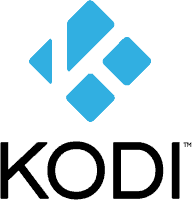 >> Click to find the Best Kodi addons 2017. Popcorn Time it’s a free software BitTorrent client with an integrated media player. This is a free alternative to paid video streaming services such Netflix. You will find Popcorn Time a very easy to use platform with thousands of HD movies and TV Series. You can filter them by genre, trending, popular, top rated, release date, year and A-Z. After you select the movie / tv serie that you want to watch, you will find the sinopse, rating, trailer, and more info about it. You can then also select the quality (480p, 720p, 1080p) and subtitles language if you need subtitles. Once you click to play, it will start download a small percentage of the video (torrent) upfront and then it starts streaming while the download it’s happening on the background. When you close the app, it will delete the download from your device. You don’t need to learn anything to use this app, it’s even easier than Netflix. The download has to be made from the website www.popcorntime.sh . Chrome it’s the native Android Browser and it normally comes pre-installed in the Android TV Boxes. With chrome and an Android Box you will be able to navigate on internet using your TV. Making video calls through a TV makes very much sense right? Be seated on the sofa, without a laptop in your lap or holding a smartphone and watching your friends or family in a big screen! As youtube its a video streaming service it makes sense to use it in your TV. You can play some videos using Full-HD 1080p or even UHD 4K and the experience it’s obviously much better than play it in your smartphone or laptop. Do you fancy play Android games on the big screen? With an Android Box you can install any game from Google Play Store! I just recommend you to buy a mini wireless keyboard like this one: [easyazon_link identifier=”B00T2SJUWA” locale=”UK” tag=”bestdroidplayer-21″ cart=”y”]Ri i8 Mini Mobile Wireless Keyboard[/easyazon_link]. It’s cheap and much better to play games, search on internet, search for films and series on Kodi, etc. With an Android TV Box you don’t need a TV service or a freeview box to watch uk freeview channels. There are many options to watch TV and one of the most reliable it’s TV Player that allows you to stream freeview TV Channels and more. BTW, it’s totally legal and FREE!! An alternative to TV Player is TV Catch-up, it worth to try. Red Bull TV brings to your Android TV Box exclusive awesome videos from globetrotting adventures, music, entertainment and live events with the participation of the top athletes from around the world. Get amazed in the world of Red Bull with this app in your Android TV Box. If you love music, this is a must to have app. The new Vevo app gives you a personalised music experience allowing you to pick your favourite artists and get notified when they launch new music videos, live sessions, interviews and more. A VPN it’s a legal service that makes you anonymous to others when you’re connected to it. The best part is that you can select from which country you want your temporary IP to be. So if you want to stream US only streams you just need to connect to your VPN and select USA to be your mask. That will allow you to use any service allocated to US citizens only. I hope you liked my list. Please feel free to share with us some more cool apps that you use on your Android TV Box. Can’t you stream some content? Check the Log for more information. ? Most of the times that you get these annoying errors is because the content is geolocked. This means that you are trying to access content that is blocked for UK (if you are in UK). For eg if you are trying to watch an american TV Channel. 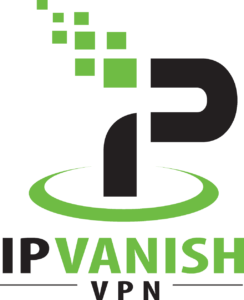 There is a couple of VPN’s that you can use with Kodi, however, there is only one that stands out as the best VPN for kodi >> IPVanish. Yes they are totally legal, you have the right to stay anonymous. I’m often to blogging and i actually recognize your content. The article has actually peaks my interest. I am going to bookmark your website and maintain checking for new information. I’m typically to running a blog and i actually appreciate your content. The article has actually peaks my interest. I am going to bookmark your site and preserve checking for new information. Which webcams will work with an android box to use Skype? Thanks. You can use allavsoft to download videos from ten.com.au or Channel Ten or TENPlay for offline access. An App Streaming Service that saves you huge internal storage. Agreed, some of the apps mentioned here, I installed in my G5+ Quad core 4K ultra HD Android TV box Kodi streamer. For using apps Gostreamer TV Box is the best option for me.